Donatella Versace began as her brother Gianni’s muse but later became a legend of her own creation. After Gianni’s tragic passing, Versace took over his business and soon became one of the most iconic designers of all time. Whether you’re a big Versace fan or not, we’ve got some of the most intriguing facts about her life. 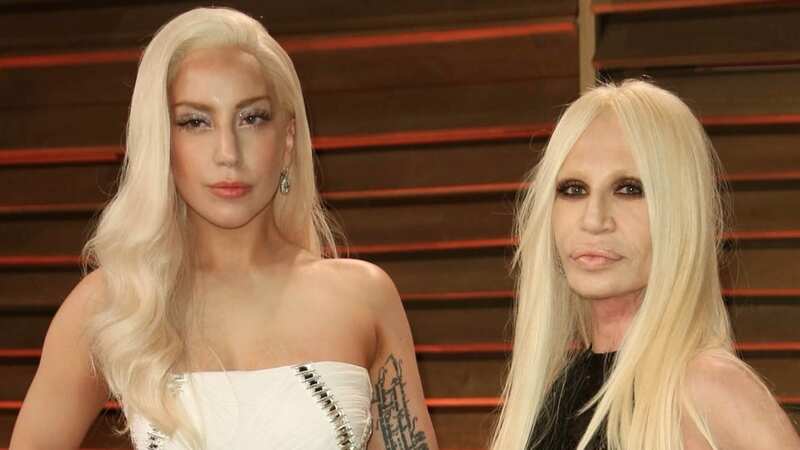 One of Versace’s closest friends is none other than Lady Gaga. Versace is known for having created many of Gaga’s looks over the years, including designing her outfits for her Edge of Glory music video and Born This Way tour. Lady Gaga even starred in one of Versace’s advertisements in 2013. On Gaga’s 2013 album, Artpop, was a song dedicated to Versace. The song was actually entitled Donatella, and the fashion designer adored it. Not only was she once her brother’s muse, but she had even become a muse for the famous pop star! At the 2000’s Grammy Awards, J-Lo was the most talked-about star. She was nominated for her first Grammy but was popular for a whole different reason – her iconic dress. The dress was designed by Versace herself and earned her immense fame. The dress had previously been debuted by the Spice Girl, Geri Halliwell, earlier that same year, but J-Lo forced Versace into the spotlight for it. Google’s executive chairman, Eric Schmidt, admitted in 2015 that the dress was the reason Google Images was created. Following the Grammy Awards, an immense number of people had been searching for images of the legendary dress, and so Google decided to launch their image search. In 2015, Donatella Versace posed for a Givenchy advert for their fall campaign. Versace’s popularity grew even more following the appearance – not that we thought she could get any more famous! She admitted that she wanted fashion to be portrayed differently following the advert. She wanted to give a sense of friendship and empowerment within the industry. The creative director of Givenchy at the time stated that he wanted Versace to star in the campaign because she defined what a fashion icon was in his eyes. Netflix aired a season of its famous show, American Crime Story, dedicated to the loss of Gianni Versace. The season, entitled The Assassination of Gianni Versace, was released earlier this year and aimed to tell the story of Gianni’s life. However, Donatella Versace admitted that she didn’t approve of the show at all and that it should be viewed as a “piece of fiction” since she hadn’t been at all involved in its making. Penelope Cruz, who played Versace in the show, sought out Donatella’s approval for her role in the show, which she was granted, even though Versace didn’t approve of the show as a whole. Donatella Versace made an incredible rise to stardom in just a few short years. After acting as her beloved brother’s muse for many years, Versace quietly ran Gianni’s business while he was ill. She later took over his fashion companies following his passing and has since become one of the world’s most legendary fashion icons.